If you purchased laptop screen replacement parts and need to install your new laptop screen into your laptop, this information should help you achieve that. Simply follow these instructions, then watch our video (link provided below) if you'd like to see this done visually. It's easier than you think and can save you a lot of money by doing it yourself. 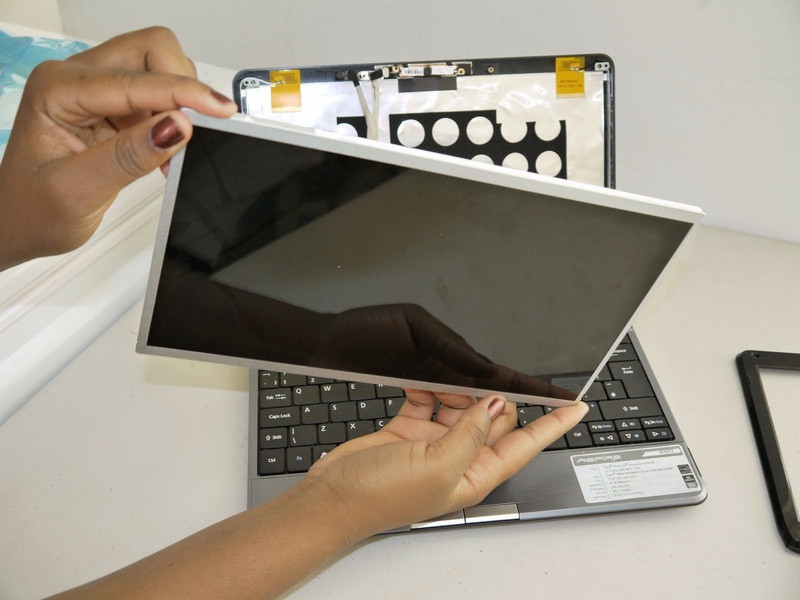 Before you get started with a laptop screen replacement procedure, first be sure you need to replace your screen. Sometimes it is another problem-not your screen that needs repair or replacement. Connect an external monitor to your notebook or laptop via the VGA or HDMI out port. If there is nothing visible once you have an external monitor plugged in, there may be something wrong with the laptop itself that a laptop screen replacement job will not fix. Some other problems could involve the hard drive or mother board or parts which may have gotten broken or damaged when you dropped your laptop or spilled something on it. You will learn much by plugging in the laptop to an external monitor. If you see that everything else is intact when you boot is up using an external monitor, then it probably is an issue that requires laptop screen replacement. One word of caution: if you have spilled a liquid such as water or other substance into your laptop, be sure to immediately turn it off and take the battery out, leaving the unit off for a full 24 hours. It must be allowed to dry out for a time to make sure the motherboard did not get "fried" or damaged during the event. It helps to run a fan directly on the laptop as well to help with the drying out process. Once it is completely dried, try powering it back on and see if it boots up. It is possible to have a laptop screen disabled from such a spill without having damaged the internal workings. If it boots up but you do not see anything, that is when you will want to plug it into an external monitor to see if it works this way. If so, you just need a replacement screen. Sometimes it is an issue regarding the graphics card, cables, the inverter, or a problem with the motherboard. Occasionally, items get pulled out of the motherboard when the laptop is dropped which can be fixed by reinserting the card. Rule out all of these things first before ordering a screen replacement. Make sure that you find the right replacement parts, once you have decided to order a new laptop screen and kit. To locate the correct replacement parts for your laptop screen repairs, look at the rear of the LCD/LED panel and locate the manufacturer's part number information. You should see a series of letters followed by a line of numbers. e.g B156XTN02, B101AW06 LP156WH4, N156BGE-L21, LTN156AT23, LP173WD1, LP156WH3-TLS3. Once you have located the part number, contact us. We can take care of the rest. We will either ship you the exact laptop screen replacement parts you need so that you can do it yourself, or if you prefer, we can do it for you! Unplug the laptop and pull the battery out for safety. You should never work on a laptop (or any computer or machinery with it plugged in). Remove all plastic or rubber screw covers from the screen. This will separate the frame from the screen inside so that it can be easily removed later. Remove all screws holding the laptop screen to the frame. Placing your fingers between the screen and the lower part of the frame, pull the laptop frame out gently and separate it from the unit. Remove all screws from the laptop screen. Remove the cable which goes to the inverter and strip the tape which is holding down the laptop screen cable. Replace the old panel with a new one and reconnect the power cable to the inverter. Reattach the video cable and secure all tape. Lift the screen back and align it with the frame and fasten the screws. Voila! You have successfully installed your laptop replacement screen! If you are not the "do-it-yourself" type or don't feel you have the skills to do your laptop screen replacement yourself, we also offer a laptop screen repair service. Simply request this when you order your laptop replacement parts and we will be happy to help you. We make this process simple and hassle-free, and it only takes us 2-3 days, so that we get your laptop back to you in as fast a manner as possible and get you back to work again. If you need information on how we can help, contact us and we'll be glad to consult with you. We are your laptop repair experts in the UK area. 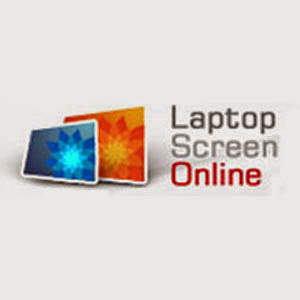 Follow our blog regularly to stay up-to-date on the latest information about laptop screen repair and replacement. Then you'll never have to worry about being away from your laptop again! Here's the link to the video if you'd like to see those steps again! See you soon!